A condensed and pocket-sized version of the best-selling Bradford's Crossword Solver's Dictionary. This crossword dictionary is the only one compiled by a real author based on over 50 years of analysing crossword clues. Offers user friendly lists of Arabic English intelligence terms with brief definitions, organised in thematic sections. This book includes common acronyms often found in intelligence reports, manuals and training course materials. A modern Welsh Dictionary offering excellent coverage of today's Welsh language and usage. The clear layout makes it easy to use and its handy format and durability make it your ideal companion at home, school or on your travels. This bestselling dictionary contains more than 9,500 entries on all aspects of chemistry, physics, biology including human biology, earth sciences, computer science, and astronomy. With clear and concise definitions and recommended web links for many entries, this A-Z is a reliable reference work for science students as well as non-scientists. 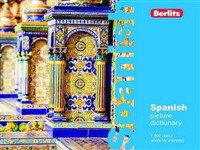 Whether you're on business, holiday or just learning French at your own pace, this Collins French Pocket Dictionary is designed to give you all the information you need in a handy, compact format. An up-to-date dictionary and a practical, user-friendly grammar guide in one easily portable volume. 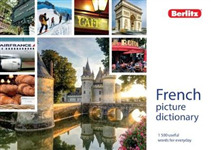 With cultural notes on life in French-speaking countries and an easy-to-use grammar section this is the ideal study guide for intermediate learners.